The type of mosquitoes and their impact on your daily activities will vary, depending on where you live in New Jersey. 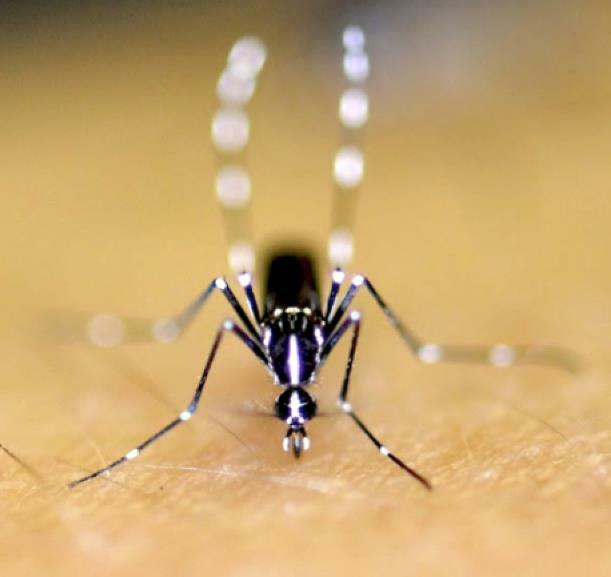 For instance, in heavily urbanized areas, residents will more likely be affected by pesky container breeders, while in coastal areas the salt marsh mosquito will be most prevalent and annoying. Mosquitoes occur in a range of habitats. Remove all standing water from your yard by bringing indoors or emptying and cleaning all containers, even very small ones. 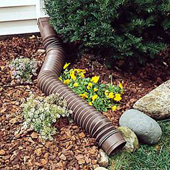 For example, do not leave toys that can retain water outside; remove saucers from under flower pots; clean or remove pool covers; clean pools and add chlorinated water; cover rain barrels with mosquito proof netting; clean rain gutters and rain spouts. Cover corrugated extension tubes with fine mesh netting to prevent mosquitoes from gaining access. These can be one of the most troublesome sources of mosquitoes in suburban backyards. If you need to control adult mosquitoes in your yard, do not apply insecticides yourself. Instead, in NJ contact your county mosquito control officials, other states’s residents should contact their state programs (which do not always exist). Mosquitoes have a long history of developing resistance to insecticides when applied incorrectly. Only a limited number of insecticides prove effective in mosquito control during disease outbreaks, therefore it is important that applications be made correctly by licensed mosquito control professionals with knowledge of the local mosquito populations and the necessary training to avoid the development of resistance. If you have standing water in your yard, you may apply insecticides yourself to control mosquitoes in the larval stage. Use products containing Bacillus thuringiensis (Bt) and always follow the directions on the label. Help county-wide mosquito control programs by facilitating access to or through your yard for suppression and extermination activities. Often, access to areas producing large numbers of mosquitoes is gained through private property. Organize or participate in clean-up activities to pick up garbage from parks and other public spaces. By helping to limit potential breeding grounds for mosquitoes, every resident can contribute to reducing the nuisance caused by mosquitoes and stop the transmission of vector-borne diseases. Share your knowledge with friends and neighbors! Mosquitoes don’t obey yard boundaries, so it is important to share your knowledge and work together to reduce mosquito problems in your neighborhood. Start by sharing this page on social media! 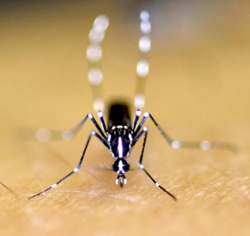 Rutgers' role in mosquito control is directed through the Center for Vector Biology, which provides research and information to the residents of New Jersey about insects, including mosquitoes, and the diseases they carry and transmit. Rutgers works closely with the county mosquito control programs, which perform the vast majority of the applied suppression services for state residents. The Center also partners with New Jersey counties and state government, including the departments of Agriculture, Environmental Protection, and Health and Senior Services. Learn more about the various organizations involved with NJ mosquito control. 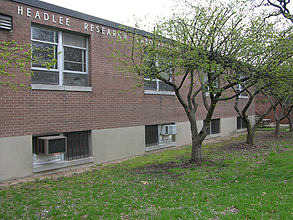 Headlee Research Labs, on Cook Campus, has been a hub for mosquito activities in NJ since it was built in 1960. Visit the links above for more information about CVB efforts in each of these areas. is capable of transmitting Zika, however the virus has not been found in NJ mosquitoes.